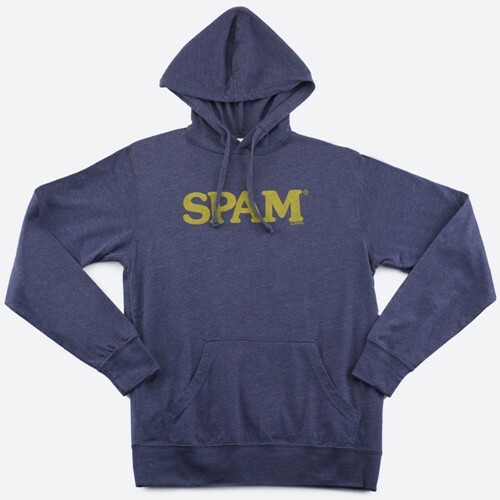 Navy heathered pullover hoodie with distressed SPAM® Brand imprint in gold. 60/40 cotton/polyester with front pouch pocket. Available in men's sizes S-XXL.